Apartment of 28 m2 consists of a spacious main room with a nice small kitchenette (fridge/freezer, washing machine, two hot burners, microwave, kettle, basic dishes), two single beds with mattress and beddding, night table, a dining table with 2x chairs, lots of shelves, TV, curtains etc. In bathroom floor heatting. 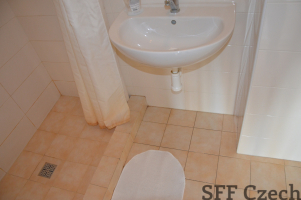 The apartment has a nice bathroom with shower and separate toilet, the overlooks to a quiet street. The whole house is in a good condition, after reconstruction. 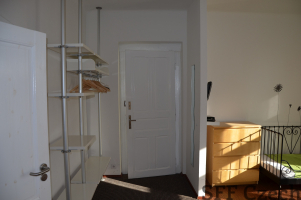 In close vicinity all amenities as Albert, post office, restaurants, bakery, sweet shop, farmers market, banks, pharmacy and more. Very good connection to the city center by metro or tram. Two minutes from the house is tram stop Okrouhlicka. The nearest metro station Kobylisy (red line – C) in 3 minutes. 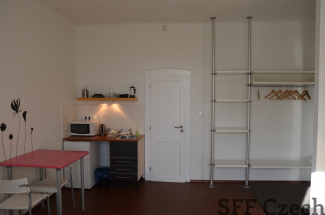 Total monthly rent: 13.300 CZK, the price includes rent, charges and internet. 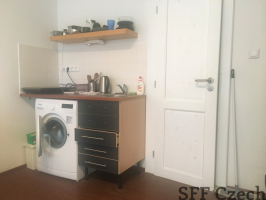 The refundable security deposit required in amount 20.000 CZK. Zdravotní obuv Scholl dámská za skvělé ceny. 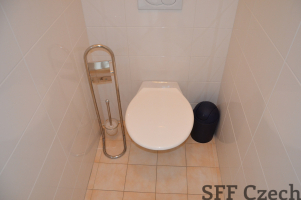 Filtry na vodu pro domácnost. Květináče pro domácnost i zahradu.